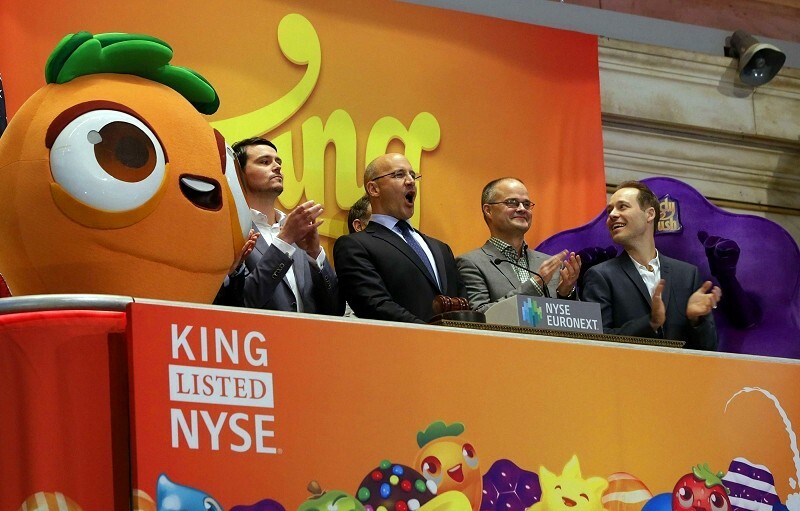 King Digital Entertainment made its debut on the New York Stock Exchange this morning riding a wave of success generated by its popular mobile game Candy Crush. And although the act alone is a major win for the company, there’s still a long road ahead as others before it can attest to. Jeffrey Sica of Sica Wealth Management said a lot of people were hoping for momentum off the open but that didn’t happen. King priced shares at $22.50 just ahead of the initial public offering yet as of writing, share value is down by more than 15 percent. The slow start no doubt reflects investor concern over the waning popularity of the firm’s hit franchise. Hope Cochran, King’s chief financial officer, said that as they look at the trading today, they’re really focused on the long term. This is an exciting beginning, she noted, but they are a very long-term focused management team. King’s offering was determined by multiplying projected sales of $2.62 billion by a factor of 2.7 which values the company at just over $7 billion. That’s actually on the lower side as Giant Interactive traded at 6.3 times their 2014 sales estimate, Zynga used a multiplier of 5.2 and Activision Blizzard traded at 3.2 times projected sales. With any luck, King will have learned from the mistakes of others like Zynga that went into their IPO backed largely by a single franchise. The maker of Farmville started trading in December 2011 at $11 per share and has watched that value slide to $4.64 as they’ve been unable to find another hit as games have largely transitioned from social to mobile.